Custom equestrian estate in prestigious Colts Neck offers the best of both worlds. 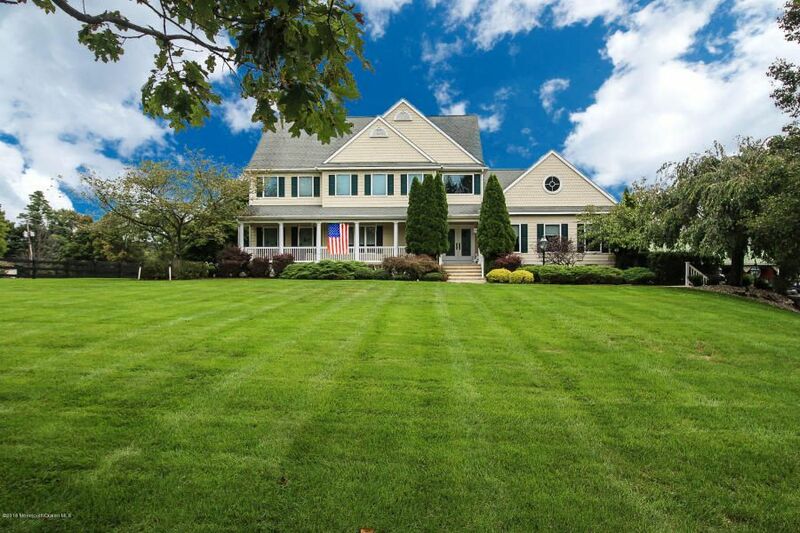 Gorgeous ''Martelli''built 4 bdrm colonial located within walking distance to golf course, features Chefs Kitchen w/ Granite countertops and custom cab, large great room w/marble fireplace, built ins, hardwood floors, vaulted ceiling. 4 spacious bdrms Large master bdrm suite w/jacuzzi bth. Heated swimming pool overlooks wonderful horse facility including 4 stall barn, grass paddocks with post and board, sprinkler system,automatic waterers, post and board fencing and run in sheds. Whole house gas generator, 400 amp service.